Drummers are a notoriously difficult bunch to buy for but we're here to help! 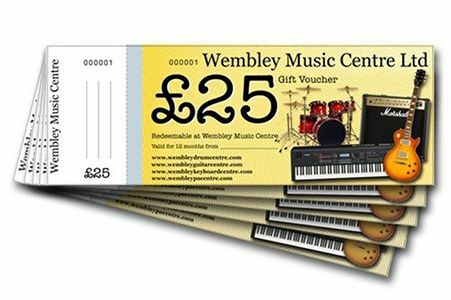 Check out some of these top gift ideas from Wembley Music Centre. An entry level drum kit that puts the focus on sound and playability. The Pearl Export series of drums are the perfect kit for the budding drummer. Available in a variety of sizes and finishes to suit any taste. A real bargain of a kit with no compromise on sound and sporting all the latest refinements. Check out our Pearl Export Drum Kits! The perfect entry to the world of electronic drums. “V-Drums Quality kit for Practice, Learning, and Fun“. The Roland TD-1K & TD-1KV were designed with beginners in mind but the kits serve equally well as a small home practice kit for accomplished drummers. 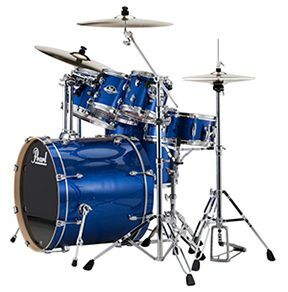 Designed to be compact, the TD-1K & TD-1KV are height adjustable meaning players of all ages will be equally comfortable playing the kits. Most importantly, the TD-1k and TD-1KV are designed to keep the noise to a minimum. Utilising a beaterless kick pedal and pads & cymbals that are significantly quieter than other entry level kits, particularly on the TD-1KV which features a mesh head snare module. The TD1K & TD-1KV are sure to be a hit not just with drummers but with parents, loved ones and your neighbours too! Check out the Roland TD-1 & TD-1KV Electronic Drum Kits. We also have some great value bundle deals! 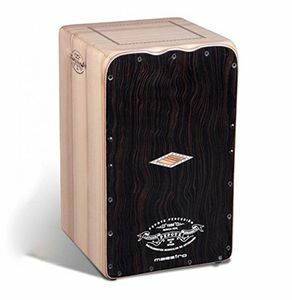 Regularly seen accompanying acoustic guitar players, Cajon’s are enjoying a huge boom in popularity. Often favoured by bands when playing in a more stripped down, intimate setting over using a full drum kit. We have a huge range of Cajon’s here at Wembley Music Centre and we invite you to browse our selection. We know such a wealth of choice can be a little overwhelming so please don’t hesitate to contact our expert staff on 0208 795 4001 to help you choose the perfect cajon. GoPro Cameras are taking the music world by storm and it's easy to see why! Capture professional, ultra high resolution video and stunning photographs of any performance. Shoot rehearsals, gigs, tour bus shenanigans and everything in between in glorious 4K30 resolution. That’s 4x the resolution of 1080p! 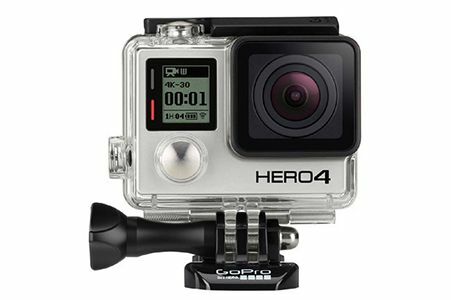 The Hero4+ Music Edition includes various instrument mounts that are easily removed and won’t damage your instrument finish. Mic stand mount is also included. Okay, it’s not exactly the most creative idea but every drummer needs them and they’re sure to be appreciated! We have a huge range of sticks, rods, Brushes and Mallets, check them out below and remember if you need advice you can always call our expert staff on 0208 795 4001 and they'll be glad to point you in the right direction. Show the world they’re a drummer and proud with one of our great drum themed T-shirts. 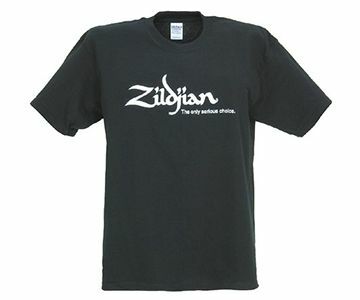 We’ve got branded shirts from the likes of DW and Zildjian and shirts featuring many humorous (at least, to us drummers!) drum related slogans and images. We've also got a great selection of branded swag, including glasses, bottle openers, coffee mugs and more! Have yourself a silent night with these Low Volume Cymbals from Zildjian. 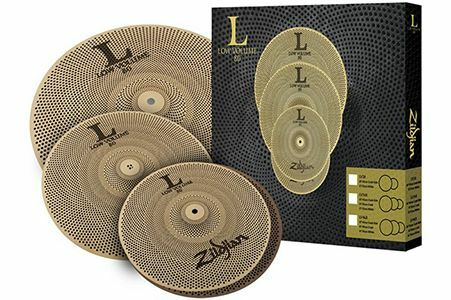 Using a specialized pattern and unique matte finish Zildjian Low Volume cymbals are up to 80% quieter than traditional Zildjian cymbals without sacrificing feel. Ideal for home practice without having to compromise on playability or feel. Using a sound level meter, Zildjian compared the decibel levels of a traditional Zildjian cymbal versus their Low Volume Series, both played with consistent power. The results showed that a Low Volume cymbal is up to 80% quieter than a traditional Zildjian cymbal. Ideal for situations where you can't rock out at full volume! 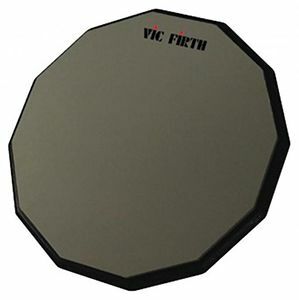 While we’re on the subject of practicing, a practice pad is a vital piece of gear. One of our pads will allow the practice of stick fundamentals without disturbing anyone else in the house. We’ve got a wide variety of sizes and materials with different feels for you to check out. From full practice kits to individual pads to pads that will fit your existing kit, we've got it all! Still can’t decide? Wembley Music Centre can still help! We have gift vouchers available in denominations of £10 and £25 and they ship for FREE, no matter the total value. You can use them in-store to pay in full or in part for any of our products. We hope that this list has sparked some inspiration, remember, our Wembley Superstore is open 10am - 6pm Monday to Saturday and on Sundays from 12pm - 4pm in the leadup to Christmas. Our specialist staff will be more than happy to help you chose that perfect gift.